End of summer is the perfect time to add hair repair to your beauty routine. We know how important it is to protect our skin in the summer sun, but what about our hair? Hair damage affects the overall look and feel of your locks. Therefore, hair is usually frizzy, unmanageable, and takes longer to style. At it's worst, damage causes split ends and breakage can begin. The main culprit of summer damage is moisture loss, but luckily there's several innovative solutions. Professional hair products to tips and tricks greatly help revive your dull and damaged tresses! The first step to repair is in the shower. Replenish hair with a salon quality moisturizing shampoo & conditioner. We love Cibu Repair Shampoo & Conditioner. Once a week, pre-treat! 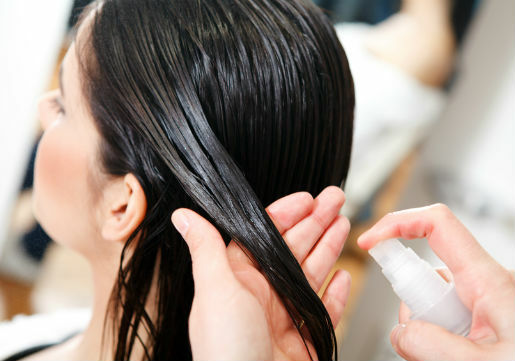 Spray hair with water to dampen and then coat strands with a deep conditioner. Cover and leave on for 10-20 minutes, then hop in the shower and wash.
After washing, apply a leave-in conditioner to help seal in the moisture you just replenished in the shower. We love It's a 10 with various leave-in options for your hair type. Heat styling with a blowdryer & ironing tools can worsen the damage. Try letting hair air dry and be sure to use a heat protecting spray. If you can't live without your blowdryer or irons (we get it! ), try using low heat or even the cool setting until hair is mostly dry. 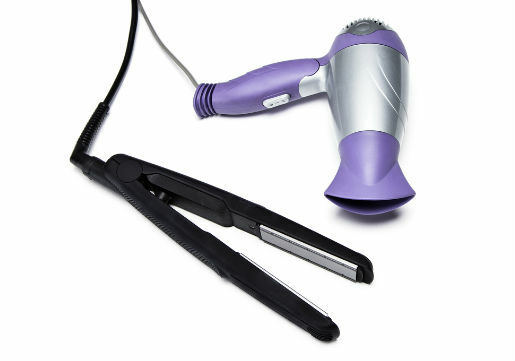 With irons, be sure hair is completely dry and use a lower heat setting. 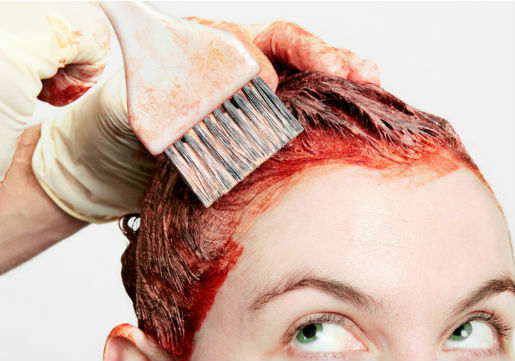 Hair Cuttery offers non-chemical color services that are temporary and more gentle on the hair. You can also get a clear gloss for amazing shine! If you have split ends, head to the salon stat! The only way to get rid of your hair of split ends (and further breakage) is to get a hair cut! You're better off going into the fall season with a new healthy look. 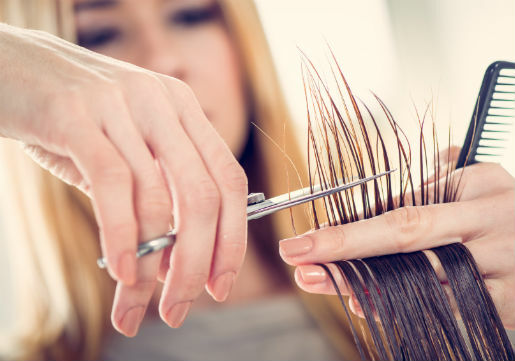 In addition to your home care products and hair care regimen, you can get our Redken customized treatment which is included in all of our Hair Cuttery value packages. 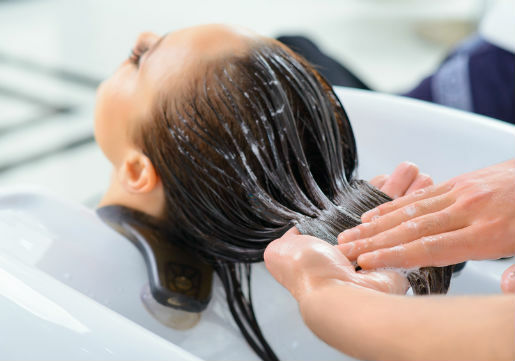 Your stylist can give you the best service if you tell them everything about your hair history. Some key things to mention are hair color history, current medications you take and if you are a very active swimmer. This will help to get the best Redken customized treatment. Plus, they can recommend the ideal products for your hair type and lifestyle. If you haven't protected your hair much this summer, it's still not too late. Rinsing hair as soon as it's exposed to salt water or chlorine, avoiding direct sunlight on your hair, and using leave-in conditioners, shampoos, and styling aids with sun protection whenever you are outdoors. At the very least, be sure to wear a hat! Just walk in to your local Hair Cuttery salon or check in with the NEW Hair Cuttery App! Start the process to hair repair now so it can be healthy for the upcoming fall season! For daily tips & tricks, be sure to follow us on Facebook, Twitter, Instagram and YouTube!